Our kindergarten is nestled in a back section with a large outdoor area bursting with native flora and fauna. We pride ourselves on modelling sustainability through our vegetable gardens and worm farm. We foster a sense of environmental responsibility through our animals, whose habits, life cycles and care the children learn to respect and nurture. Our extensive outdoor play area provides ample opportunity for development of motor skills, social skills, exploration and discovery; and our indoor environment is resourced with stimulating, engaging equipment, with an emphasis on art, ICT, music, science, and bicultural learning. 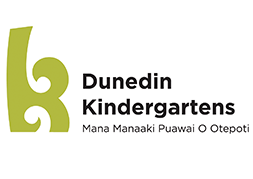 Ours is an active and co-operative community of learners, with staff, children, families/whānau and the wider community working together to ask questions, find answers and explore ideas. Bayfield Kindergarten opened in 1957 as Andersons Bay Kindergarten and renamed Bayfield Kindergarten later.